A few weeks ago I attended a conference on Economic Democracy in Madison. It’s a subject I consider intensely important — everyday people’s control over their own economic destiny. The conference inspired, informed and provoked, and I wanted to share some highlights. Keynote speaker John Nichols, correspondent for The Nation and CNBC commentator, called economic democracy the great moral struggle of America. It goes back to the founding stages of our country (when only 4 percent of the population could vote). The founders knew slavery was a sin, he said, but often turned a blind eye to it for personal gain. Nichols’ talk was full of historical references, from the closing of 50,000 American factories following NAFTA, to the so-called Powell Memo. Written by a tobacco company lawyer after the federal crackdown on tobacco advertising, this memo started the conservative pushback against consumer rights. Nichols noted that the U.S. has only had an elected Senate since 1913, before which wealthy men were appointed to the Senate. In that same year the Federal Reserve was created: an undemocratic bank with centralized control. The connection, he implied, was clear — continued oligarchic influence over the economy. Another speaker, Loyola University professor of philosophy David Schweikert, explained that until the ’70s, U.S. wages and productivity rose in tandem. No longer; wages have stagnated, with resulting great inequities. And we can no longer spend our way out of recession, he emphasized; consumption and ever-increasing productivity have only led to environmental crisis. Schweikert called for democratic control of investment, replacing the financial markets’ role in investment with a tax on business reinvested in the economy. He and several other speakers also mentioned state banks. North Dakota, for example, created a state bank 100 years ago, which has been functioning as an alternative to corporate banks ever since. I attended several interesting breakout sessions. Jason Schreiner, an organizer with Prout Institute in Eugene, outlined what he called the SEED model. SEED (solidarity, economy and ecological design) creates a nucleus of development in a community that catalyzes participation. He lives in one such community in Oregon. The model seeks to identify a nested hierarchy of human needs: infrastructure, basic necessities, economy, services, culture and spirit. Community members may not live contiguously, but in houses scattered around an existing neighborhood. They foster the use of local fuel, solar energy, composting, wetlands and habitat, serving as resources for the larger community. A mutual benefit association shares credit. Small houses are built to be both low-cost and high-performing. I learned also about several interesting projects in Madison, such as the TimeBank, which allows for exchange of services within a community based on time-hours, a different kind of currency. And the Dane County youth court, where students are trained in restorative justice. An offender in school will be summoned to this court of their peers. They’ll be given an opportunity to talk about what’s going wrong, asked about life goals and interests. They often receive a sentence of nonviolent communication training, or service. Nothing goes on their police record. All these issues, of course, are related. Pull one strand of the universe, said John Muir, and you’ll find it’s connected to everything else. Cobb was speaking about Move to Amend, which seeks to overturn the Supreme Court decision recognizing money as free speech in the political arena. People have the necessary power, Cobb said, to make change. They need only exercise it. 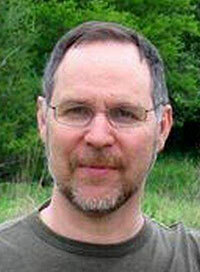 Writers’ Group member Andy Douglas lives and writes in Iowa City.